Moto Z Play and Moto Z has been unveiled for the Indian market with a price tag of Rs. 24,999 or about $375 and Rs. 39,999 or nearly $600, respectively. The sale will be commencing from 17th October. Prior to this launch, Lenovo had unleashed Moto E3 Power in India, which was a Flipkart exclusive device. But this time, Lenovo will be making both the devices, Moto Z and Moto Z Play, available on Flipkart and Amazon India. So customers could purchase their desired device starting from October 17 by logging into the two e-commerce platform. Now let’s take a glance over the technical specifications for Moto Z Play and Moto Z. The former smartphone sports a 3GB of RAM along with 32GB of internal storage. Additionally, there would be a microSD slot. The Moto Z Play features a Full HD 5.5-inch display screen. And it is powered by 14nm Snapdragon 625 SoC coupled with eight Cortex A53 processor cores which is clocked at 2.05GHz. As for the camera features, there is a primary camera of 16MP coupled with PDAF and 4K video recording. Moto Z Play packs a good secondary camera of 5MP at the front of the smartphone. The Moto Z Play sports a 3.5mm headphone jack. The newly launched device packs an NFC along with a 3510mAh battery. Users will be getting a fingerprint sensor at the front of the device. The device will run on the Android 6.0.1 Marshmallow out of the box. Besides, Moto Z exhibits a 5.5-inch QHD display alongside a 4GB of RAM. The newly released device is powered by Snapdragon 820 SoC. On the contrary of Moto Z Play, the latter model flaunts a 64GB of internal storage that can also be enhanced with a microSD card. As for the camera feature, the Moto Z features a 13MP shooter at the back along with 4K video. The device also flaunts a 5MP camera at the front. Just like the former model, the Moto Z also packs Android 6.0.1 Marshmallow out of the box coupled with a fingerprint sensor. The device also sports a 2600mAh battery. Moto Z is a 5.19mm thick device that makes it the sleekest phones among the latest ones present in the market now. In this model, Lenovo has kept away the 3.5mm port and the audio would be routed via the USB-C charging port. The launch has also witnessed various Moto Mods. The company will be bringing these Mods at a price of Rs. 19,999 ($300) in the Indian market. And if you purchase the Moto Mods along with any of the Moto Z or Moto Z Play, then you will be able to receive a price discount. Let’s take a quick look on these Moto Mods. Lenovo has launched the Moto Style Shell which is of Wood and Ballistic Nylon. This will cost you Rs. 1,099 ($16), but if you purchase it with any of the two devices, then it would cost you Rs.899 ($13). Next, comes the same Mods in a leather variant. The price for this variant is Rs.1,599 ($25) and if picked along with Moto Z or Z Play then the discounted price would be Rs.1,299 or $20. The Incipio power pack will cost you Rs. 5,999 or about $90 and if purchased along with any of the two launched devices then it will cost you Rs. 4,999, which is nearly $75. The Moto Insta-Share Projector is the next release with a price tag Rs. 19,999 or around $300, if bundled with Moto Z and Z Play then the price tag turns to Rs.15,999 which is $240. The Hasselblad True Zoom costs Rs. 19,999 or about $300 and if bundled with the newly launched devices, the price changes to Rs. 14,999 that is $225. You can also pick up the JBL SoundBoost at Rs.6,999 that translates to $105 and you will also get a discounted price of Rs. 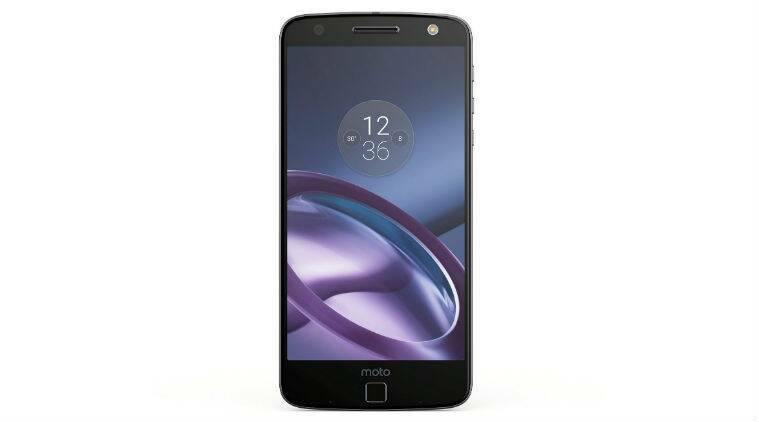 5,999, if purchased with any of the devices, Moto Z or Z Play. It’s interesting to note that Moto Z and Moto Z play is coming with Moto Mods. It gives a huge option for the customers as well. The two devices will go on sale starting from October 17. And if you don’t want to miss the chance to pick up these amazing devices, then keep an eye on the eCommerce websites, Flipkart and Amazon India, on the said date.